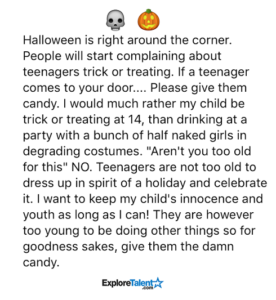 Recently The Huffington Post reflected on the issue of teens trick-or-treating (read it here), which was prompted by a post on Facebook by Explore Talent (see it here) In summary, there was quite a buzz over the past couple of weeks as to whether or not teens should be out trick-or-treating. There were debates over age, dressing up, being required to say “trick or treat”, and a host of other issues. 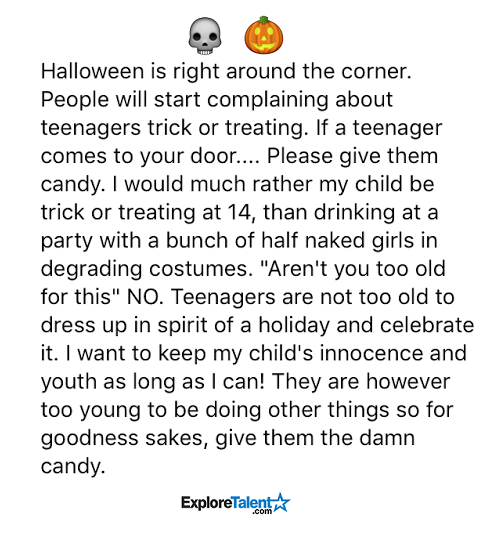 I have to admit I had been discouraging my thirteen year old from getting out there to get candy… but my reason behind it wasn’t on the list of arguments that the 2.9 thousand Facebook commenters debated. Before anyone jumps to judging and thinks I am just a bah-humbug when it comes to Halloween, let me assure you that I am totally in favor of it. 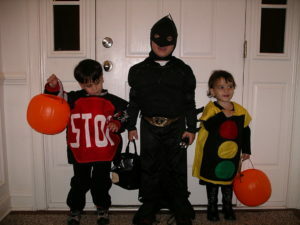 As a kid, Halloween was always one of my favorite days of the year. My four brothers and I rarely if ever got “store bought” costumes and instead dug through a giant box of prior year items to combine with our mom’s incredible sewing talent to create the best original costumes. 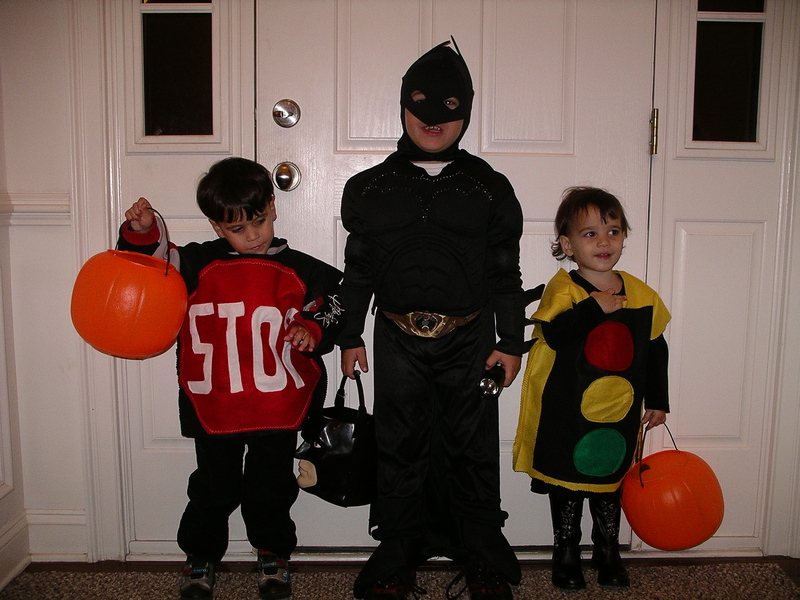 We always planned outfits that would not hinder our running, and I mean running, from house to house – up and down steps and across lawns to get the most candy possible in the short amount of time we had. Each year we’d cover more of our neighborhood in record time and then run home to begin “the trade”. I only have exciting memories of the epic holiday! You can imagine, then, when I had kids and got to do the same with them! 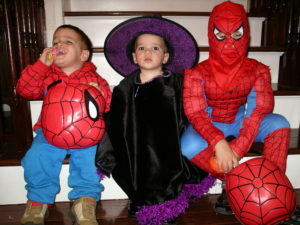 When they were little I’d plan the coolest costumes and my “mom friends” and I would help the kids in and out of strollers and wagons as we went house to house. After a few years of sweating through carrying the ones that refused to walk another step and negotiating just how long they had to wait to sample yet another piece of candy, all of the moms started having starry eyed conversations about the days ahead when the kids would be able to walk up to the houses on their own and eventually go out trick or treating with friends and not need us at all. 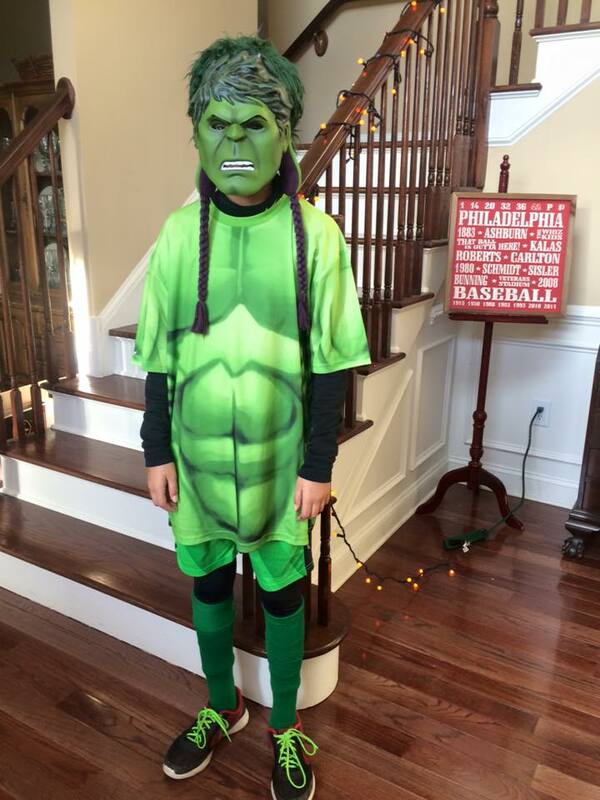 All of the moms would talk excitedly about the non-chaperoning Halloween days ahead – all of them, that is, except me. Now, I am not a mom that is not wanting to see them grow up. No, I just happen to be a mom that doesn’t have the luxury of sending my kids to race around the neighborhood without me. 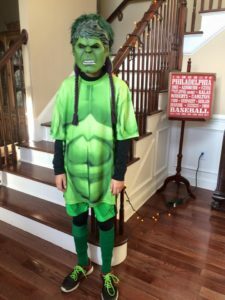 I am the mom of two blind kids and one sighted… and Halloween quickly became my worst nightmare as my guys got a little older. 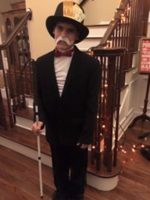 Halloween quickly became my worst nightmare as my guys got a little older. My two boys see next to nothing in the daylight and nothing at all at night. For us, negotiating sidewalks that turn this way and that, kids running back and forth, steps with decorative pumpkins, all in the dark – well, you can see where I am going with this (pun intended). In earlier years I’d wear a crazy costume and try to blend in with the rowdy kids, making it fun for my boys to to have me in their trick-or-treating pack. But each year the kids wanted to go faster and faster. My sighted daughter was always a trooper trying to get the “pack” of friends to slow down and wait for my guys. But let’s face it: kids are on a ticking clock on Halloween night and they have a ton of houses to get to! Slowing down and waiting are the opposite of proper trick-or-treating skill! My oldest son (16) gave up trick-or-treating a couple of years ago and now sets up the “spooky” lighting and special effects for the trick-or-treaters that come to our door. But this year my thirteen year old struggled with whether or not to go out…. and I knew it had a lot to do with keeping up, or not keeping up. My boys have learned that as a blind person in a sighted world, you can be the best advocate for being included in all things, but some things are just not going to work. Many times it’s just easier to realize that and be flexible to either find a different solution or take a different path. And as far as their sighted sister goes, although she is the greatest partner of theirs in helping them navigate a world they cannot see, you can only ask so much of a twelve year old – and I knew my Mitchell was struggling with expecting his sister to lag behind the crowd and walk slower with him. In an interesting twist, this year my daughter was invited to trick-or treat with friends outside of our neighborhood. It was perfect! She would be off to run from house to house with her friends and Mitchell and I planned to walk through our neighborhood, at our own pace. It turned out to be one of my favorite Halloween nights ever. There was no yelling to wait. There was no rushing to keep up with anyone. Mitchell and I took the time we needed and discovered short cuts we hadn’t found before. And the best part – we talked. For two hours we chatted about school and life stuff. We enjoyed catching up with neighbors on their doorsteps. We said hello to the many kids that knew Mitchell and laughed with them over silly costumes and exchanged “tips” on houses with the best candy. But let me repeat – for two hours, Mitchell and I got to chat, just us, no siblings or phone calls or emails to interrupt. And the bonus: Karissa had a fantastic time getting to run from house to house with parent chaperones trailing behind. 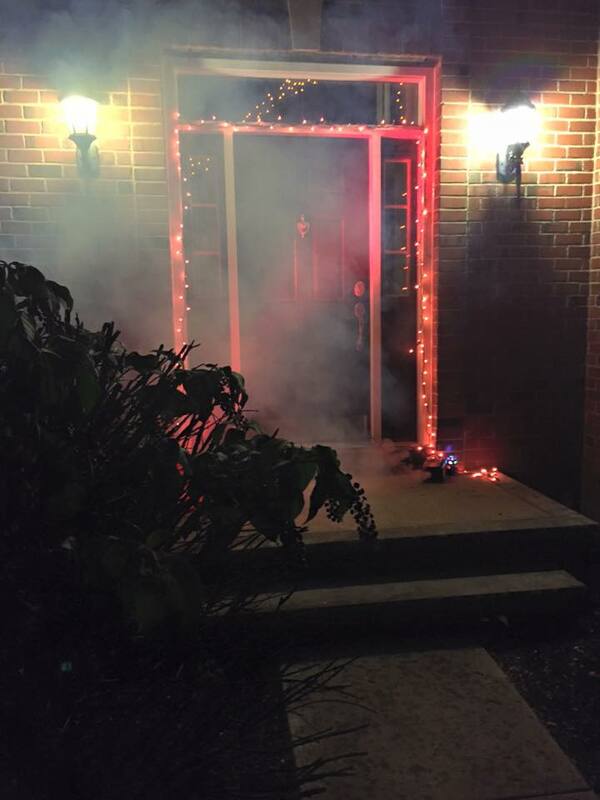 Michael enjoyed running the fog machine and lights at our door, catching up with friends and neighbors that came by. And after Mitchell and Karissa completed the great candy trade, they put a bunch of Michael’s favorite candy together and delivered it to him as he was buried in homework. In recent years I had considered Halloween one of my least favorite events to experience with my kids. Now, I count Halloween 2016 as one of my favorites. In my house, I’m going to let my kiddos big and small, blind and sighted, experience the fun of Halloween for as long as they want to, in whatever way they want to. I hope your family does the same.